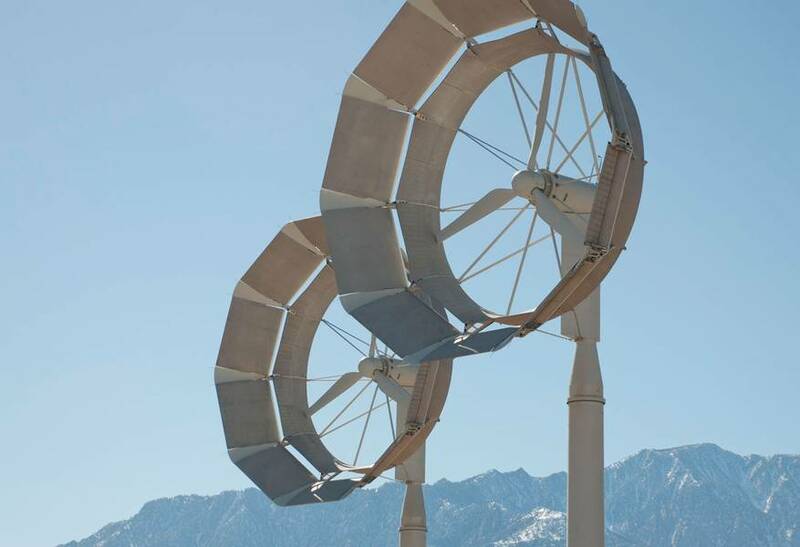 Ogin, the Massachusetts-based ducted turbine company, has installed six of seven turbines in the San Gorgonio Pass near Palm Springs, California. Of the six turbines standing, three appeared operational on 24 January 2016. Previously, the much-hyped company had installed one prototype on Deer Island in Boston Harbor. That prototype has not been operational for some time and remains standing derelict. 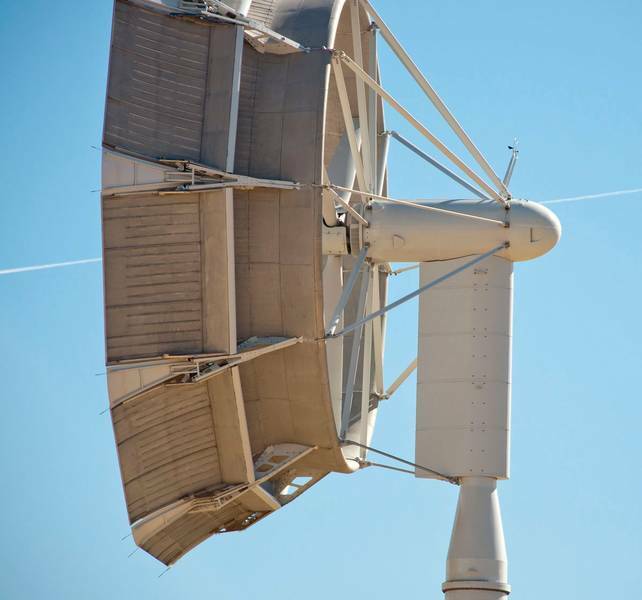 Subsequently, the company installed a substantially modified prototype in California’s Antelope Valley. 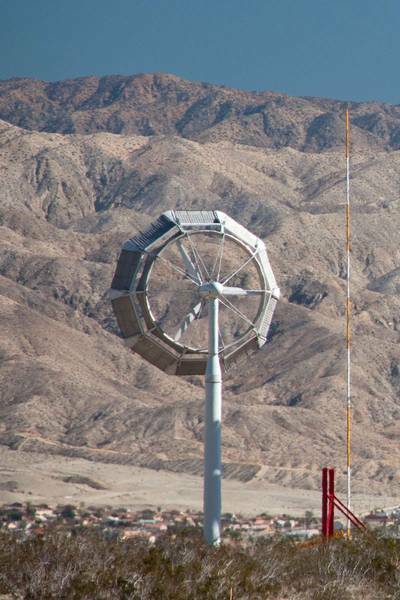 In late 2015 Ogin, formerly known as FloDesign, was advertising for a service manager to operate their prototype turbines being installed in the San Gorgonio Pass near Palm Springs. 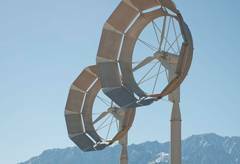 Nevertheless, the shrouds on the turbines near Palm Springs are significantly different from those on FloDesign’s original prototype. Ogin has abandoned the lobed mixer-ejector feature that was the hallmark of the design—and the justification for the claims that the shroud was a “unique revolutionary design” that would change the face of wind energy. According to the local news report, Ogin continues to rate the turbine at 100 kW. The company is seeking permits to install 39 more of the experimental turbines after removing 100 older turbines at a site south of Interstate 10. Thus, Ogin’s “unique revolutionary design” is being directed towards niche markets. Whether such markets are large enough to support the company and earn a healthy return for the pension funds that have invested in it remains to be seen. No one has ever developed a commercially successful diffuser-augmented--or ducted--wind turbine. 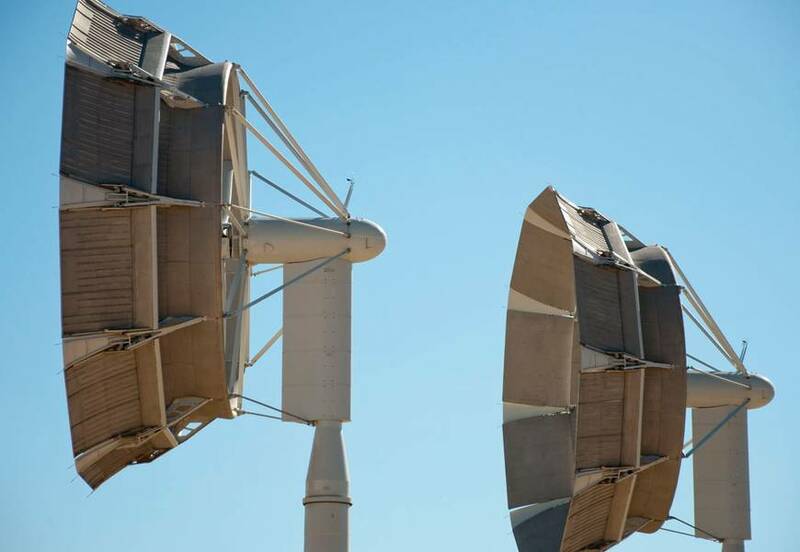 The most costly ducted wind turbine to date was that of Vortec 7 in New Zealand. Vortec failed in 2001 after burning through $NZD 21 million. Ogin-FloDesign’s turbine has been under development since 2008.